Roofing Superstore is proud to offer the latest range of Big Six industrial rooflights, at our famously competitive prices. The Big Six industrial rooflights and sheets are manufactured by FILON, who have over 50 years of experience in the manufacturing of GRP products for the building and construction industry. What are Big Six Industrial rooflights and roof sheets? The big six industrial rooflights and roof sheets from FILON are manufactured from GRP (glass reinforced plastic). They have been designed to include light diffusing additives, which disperse light that passes through the rooflight, reducing the amount of glare and hot spots whilst effectively providing a source of natural light. The big six profile means that it is a corrugated roof sheet with six inches between the peaks of the corrugations. Bix six GRP rooflights come in a wide range of sizes and profiles to create the perfect light source on the roofing project you’re working on. They have been designed to match current and discontinued asbestos and metal roofing sheet profiles so they can fit in seamlessly. GRP rooflights from FILON have also been designed with a highly durable UV resistant polyester film on the external surface. 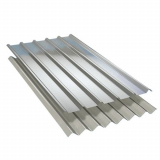 This prevents yellowing and extends the working life of the roof sheet or rooflight. The big six GRP rooflights and roof sheets can be used in a wide range of applications, from small outbuildings to larger industrial, commercial and agricultural buildings. 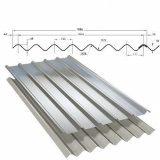 What are the different FILON roof sheets available?  The GRP rooflights from FILON have been manufactured to act as light sources within the roof, whereas the grey reinforced roof sheets have been manufactured to act as a roofing product. 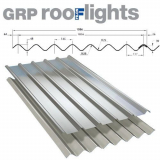 This means that the grey roof sheets consist of an extra reinforced woven glass layer compared with the GRP roof lights, creating a roof sheet with high impact resistance and load bearing capabilities, whilst still being a thin and lightweight roof sheet. The Fixsafe system has been designed to combat the number of fatal accidents that occur due to falling through fragile roofing materials. 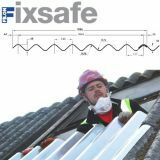 The Fixsafe system is a replacement system for damaged roof sheets and rooflights, and caters for most roof profile sheets in the UK. Not sure whether using a GRP rooflight or roof sheet is the best solution for your roofing project? Give our team a call to discuss the benefits of using GRP roof sheets and rooflights on 01752 692760 or use the live chat.